We have a number more that are in the works -- great fun! The best place to go to see these is the Flickr site for our Earth Faire Signature Colors that Kelly and Laura set up for us -- as they finish dyeing a set, they usually put it up so its look is saved. 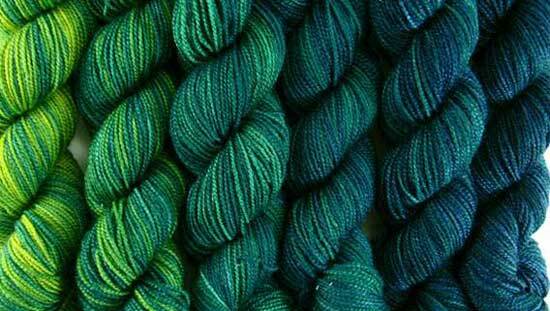 There are lots of different yarn bases available. Contact us and we can talk about your needs and wants. 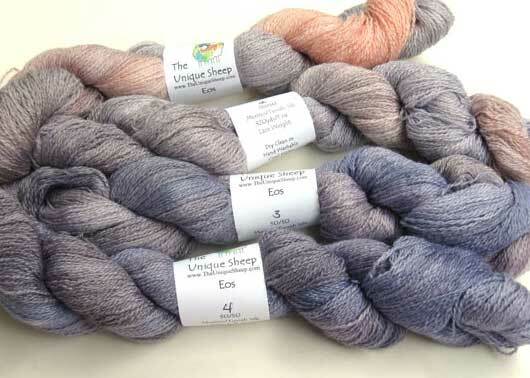 We have worked with Kelly and Laura of The Unique Sheep to develop certain special colorways that are now exclusive to us at Earth Faire. 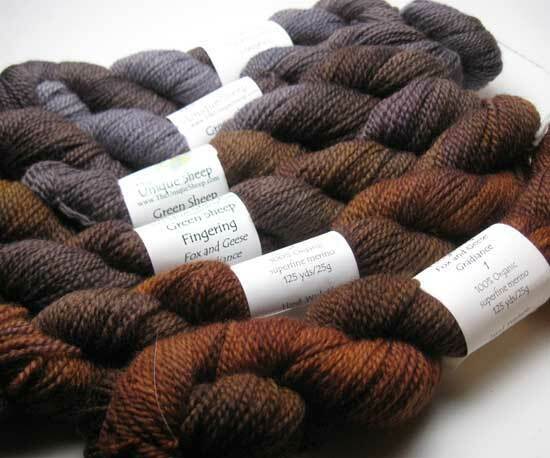 Some are Gradiance colorways and some are "single skein" ones where all the colors are varied within one skein. They are all unique to us and we are really pleased to be able to offer them. They sell out fast when we get them in and we set up this web page to show the majority of what is possible. 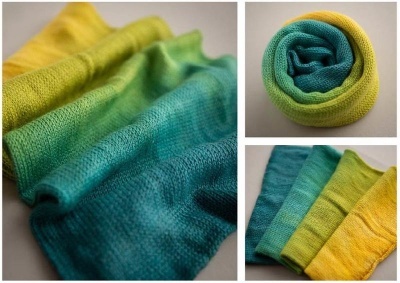 If you would like to see some other colors -- again just contact me. We can look at photos and also talk about setting you up with a special order . Please bear in mind that special orders might take as little as about two to three weeks, or as long as a month or two, depending on how busy Kelly and Laura are. Harvest Moon -- treat it as a circle even though it is lined up. 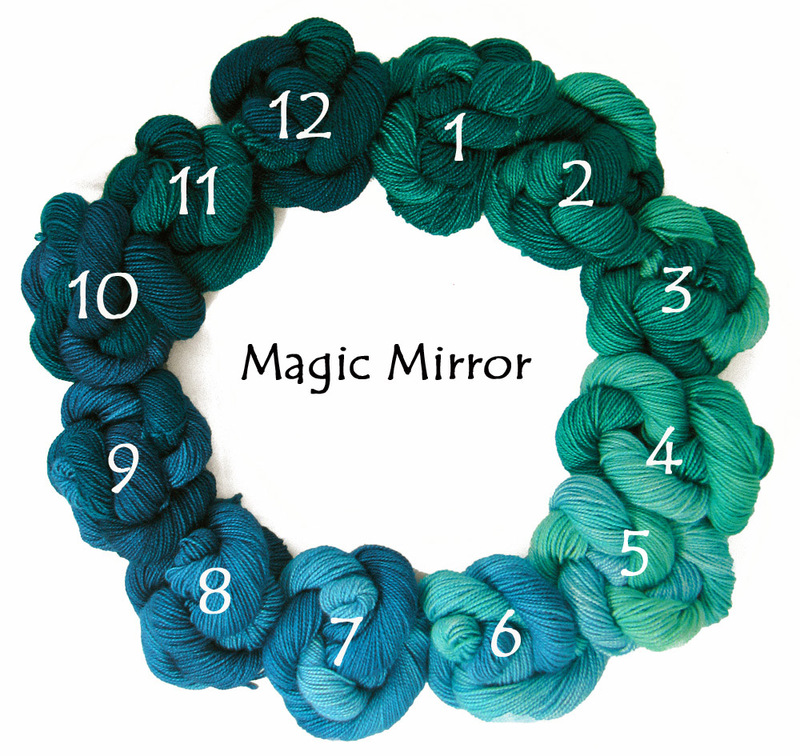 This should also be thought of as a circle, even though the photo is take of the 12 skeins lined up. 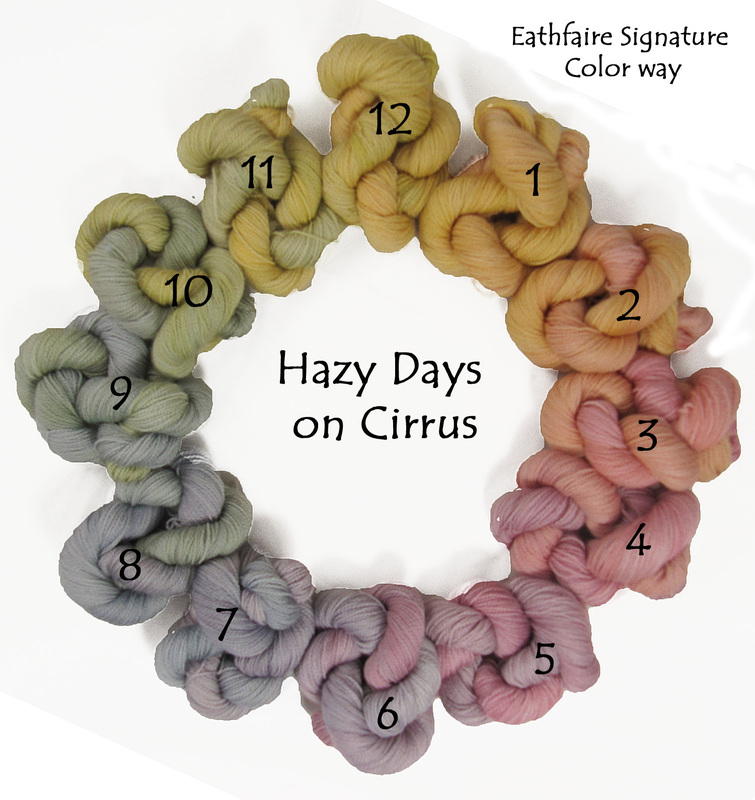 The next few colorways are based on circles of color. Each circle has 12 possible skeinettes of color. You have a choice here. 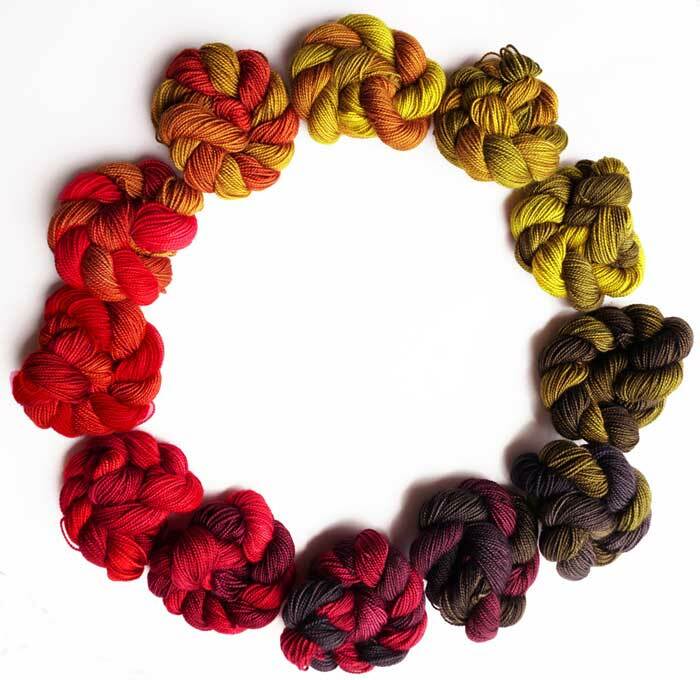 You can choose any 4 to 6 consecutive colors to make your own personalized colorway. 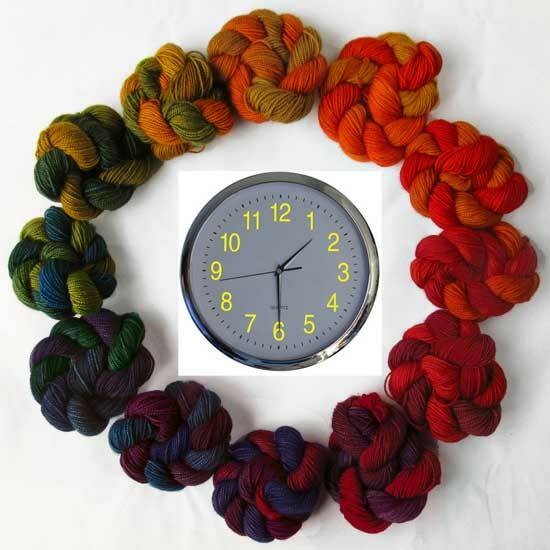 Or you can ask for a full circle dyed up to equal the amount of yarn you want for your kit. 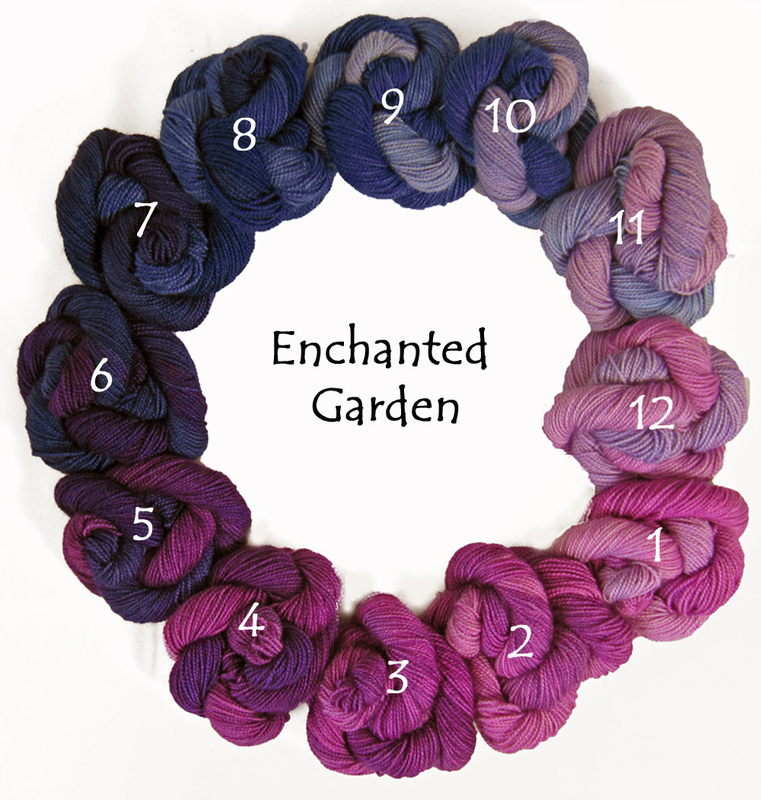 If you want a 4 or 6-skein set: you must do is choose the number to start with. A number of the photos on this page show circles or color strips that are labeled by number. 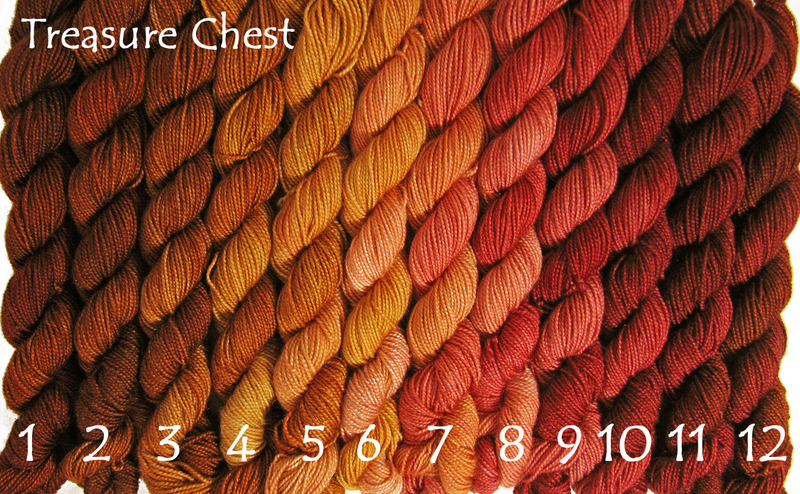 If you want, for example, to start with 10, then your set will have the skeins noted as 10, 11, 12, 1, 2, 3. And if you want the full circle, you'll need to tell us "full circle." Further data on can be found here about Gradiance sets . We do not have room to show all of the possible colorways on one web page. 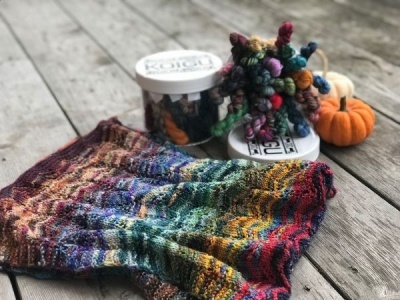 Feel free to contact us to discuss your wants and desires for these yarn sets and be sure to check out the Flickr site for our Earth Faire Signature Colors . This article was published on Friday 02 September, 2016.